At the 1889 World’s Fair in Paris, the newly erected Eiffel Tower became one of the first icons of illuminated architecture, a nocturnal “lighthouse.” It was not until decades later, in the 1920s, when a building’s evening facade became a central issue for residential and commercial architects, who began to look for avant-garde and aesthetically striking ways to light up their ever-taller works in all the major cities of the world. Both European and American architects wanted to distance their buildings from the garish electric signage that had come to dominate the street-level cityscape, so they worked with more delicately colored floodlights. Contemporary architects use many of the same techniques today, aided by technological advances that allow them to be implemented in particularly dramatic ways. Among the international roster of buildings considered here, American subjects include Holabird and Root’s 1930 LaSalle-Wacker Building in Chicago and Renzo Piano’s New York Times Tower, scheduled for completion this year. 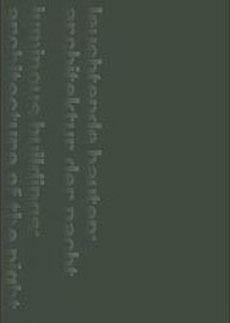 Luminous Buildings: Night Architecture opens a dialogue on the often overlooked but exciting connections between architecture, technology and light, offering points of reference in historical buildings and utopias, more recent designs, paintings and photographs of nighttime facades, and scholarly texts.